After promoting its two new Signature Wraps – the New Sweet N’ Smoky Steak & Guac and the New Sesame Ginger Glazed Chicken Wrap – in a series of recent ads, Subways is now pitching its delivery service. The sandwich chain has released a new commercial, dubbed “Tear Away Pants,” to highlight that Subway now delivers. 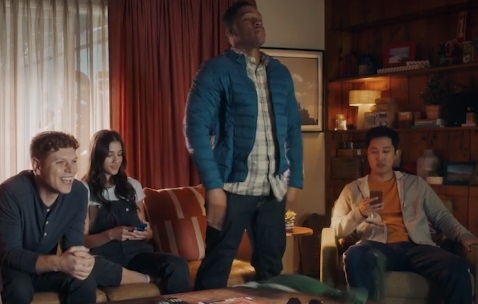 The 15-second spot features a group of friends watching a game on TV. When one of the guys asks his fellows if they want to get Subway, a young man says he wants and tears away his clothes, unveiling an outfit suitable for going out. Informed that Subway has delivery, he then tears away the outfit, unveiling again casual clothes for staying in. “Game on. Subway Delivers.” onscreen lines read at the end of the commercial. Subway’s delivery service is available in select areas only and is subject to availability. Delivery fees, booking fees, and minimum order requirement may apply. Moreover, promotional prices, coupons, and Subway MyWay Rewards Program are not valid on delivery orders. The chain’s delivery partners are DoorDash, which is available in most major US cities, Grubhub, Postmates, and Uber Eats.